Everybody loves watching DVD or Blu-ray at home. With a DVD player and a DVD disc of the movie you love, you can easily enjoy a weekend or a free night alone or with families or friends. With the development of multimedia technology, DVD players are not something new and strange anymore. Every movie lover has one in his or her home. However, although DVD players are convenient and very popular around the world, the fact is, they give us error messages every once in a while. Especially those old modules. Sometime it’s because the disc is scratched, sometime it’s the machine having some problems. It’s really frustrating when you are all ready for a movie and the player just gives you an error message. Among all the error messages that the DVD player would give, the “No disc” error is the most common and annoying one. What is going on when the player gives the message? How to fix the “No disc” message and let the player play your disc successfully? Let’s find out together. Before you try anything to examine or fix your DVD player, it’s suggested that you make sure the disc you are trying to play is intact and well. Because if it’s the problem of your disc, then trying to fix your DVD player does not help at all. There are a lot of ways to check whether your disc is intact or not. When you encounter some problems like the “No disc” error, the first thing you would think about to do is to switch to another disc and see whether the player can play it or not. Well, this is a way, but not a perfect solution to distinguish where the problem lies. Sometimes a DVD player glitch does not happen every time you try to use it. Maybe it happens this time, but it works completely normal next time. So in order to see where the glitch lies, the best solution is to directly test the disc in a solid way. The most direct way to check whether the disc is functional is to try play it on another DVD player that you are sure is working fine. If the player plays the disc normally, then you can be sure it’s the problem of the earlier player, not the disc. Sounds easy enough, right? But here is the question, not everybody has a second DVD player in their home. What if you only have one DVD player? How do you make sure that your DVD disc is fine? The good news is, here is always an alternative. The second way to test the disc is to play the disc using a computer. Laptop or desktop, it doesn’t matter, as long as you have a DVD drive connected to it or an internal drive built in. But that’s not all it would take. As you may already know, most of the player software cannot play a DVD on your PC. Even Windows Media Player, which was able to play a DVD movie, can no longer support DVD playback these days. So how do you play a disc on your computer to see if it is intact? Well, now you need a solid DVD/Blu-ray player software that can play almost all kinds of video formats. Leawo Blu-ray Player, for instance, is the one that I would strongly recommend. 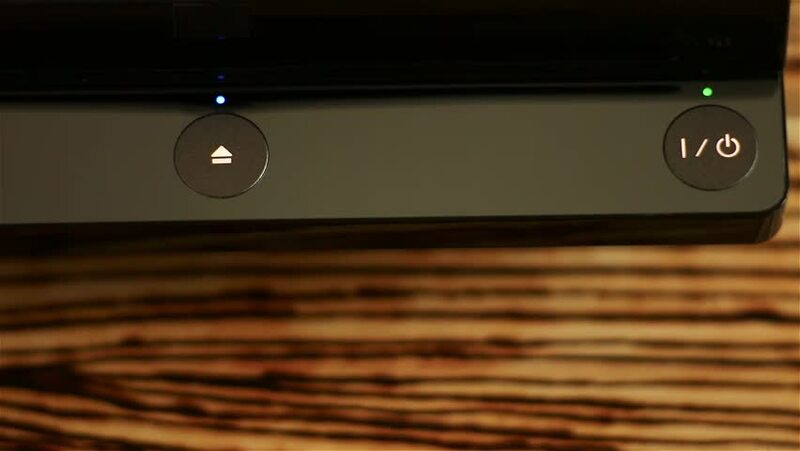 Because Leawo Blu-ray Player can handle DVD or Blu-ray materials perfectly, it is a perfect solution to test your disc when you don’t have another DVD player in your home. Simply insert the disc that you want to test into the DVD drive of your computer, launch the player program and import the disc. You test whether the disc is playable, as well as whether all the functions like menu, Dolby sound effect work normally. Leawo Blu-ray Player fully supports Blu-ray/DVD menu control and Dolby, DTS, AAC, TrueHD, DTS-HD sound effect. As a 100% free all-inclusive media player software, Leawo Blu-ray Player contains all media playback solutions you need for your leisure entertainment, including Blu-ray, DVD, CD, HD (4K), ISO file with AVI, MPEG, WMV, ASF, FLV, MKV/MKA and other popular formats supported. Besides, Leawo Blu-ray Player’s practical bonus features including useful power manager, custom skin / language / background, snap screenshots, especially virtual remote controller make it a better choice for all playback choice. The program is completely free, and you will not be bothered by any ads or malware. If it can be successfully played on your computer, then it has to be the DVD player that needs to be fixed. If not, it means your DVD player is probably okay and your disc is scratched or broken. Now, after the last step, you must have an idea whether your DVD “No disc” error message is due to the player glitch or disc problem. If you are sure that there is something wrong with your player, then you can start doing something to fix it. It’s not easy to fully understand how a DVD player work and precisely fix the problem if you are not a pro. But for the common issues on the player, there are always some common fixes that you can apply to make it functions normal. Here is how you can try. Step 1:Press the “Eject” or “Open” button on the DVD player to disc tray to determine if it opens easily and does not appear jammed or hindered. If the disc tray appears to open slower than usual or fails to open, the disc may not sit flush in the tray or otherwise be seated properly. Use your hand to pull out the disc tray slowly if it does not open on its own and then reseat the disc. Close the disc tray and press “Play” on the DVD player again to see if reseating the disc in the tray corrects the “NO DISC” error. Step 2:Power off the DVD player, then back on again. Attempt to play the DVD disc normally. Sometimes, an error in the DVD player firmware may prevent the device from reading discs properly. When this occurs, resetting the player often corrects “NO Disc” errors. Step 3:Remove the disc from the DVD player. Use a lint-free cloth and some denatured alcohol or water to clean the disc and remove any dust or smudges that may prevent the player from reading it properly. Reinsert the disc into the player and press “Play” to see if cleaning the disc fixes the “NO DISC” error. 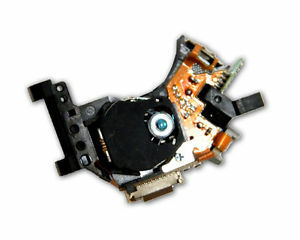 Most of the DVD “No disc” problems are caused by the glitch of DVD laser lens. Cleaning DVD laser lens is not easy and requires patients and carefulness. You can start out buy trying to blow away the dust, if that doesn’t work, you can try use a DVD cleaning disc. If you think it’s too expensive, you can also open the player and clean it manually. To prevent dust buildup inside your player, gently blow out the dust periodically. A hand-operated photographic dust blower works well. 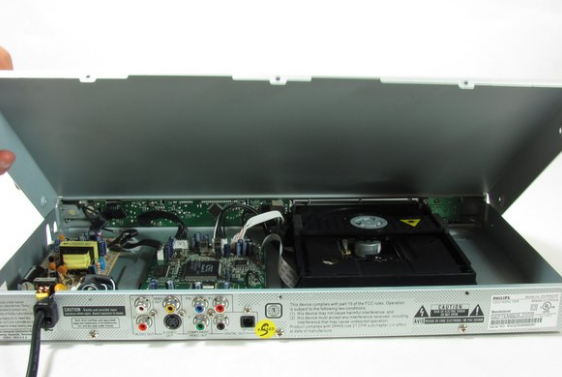 If you use a can of compressed air, be gentle and don’t blast the lens from close range, because the air stream can be quite strong and some of the internal parts of your DVD player are delicate. Step 1:Lift the top panel from the back and remove. It should come off without being forced. There is a lip near the front so you many need to slide the top panel back slightly to remove it. Step 2:Locate the lens on the disc drive. Make sure that there is no dust on or near the player and area you are working on. Dust can get on the lens and scratch it while you are cleaning. It is very important that the lens is not damaged because the lens is used to read the discs. Step 3:Dip one end of a cotton swab in rubbing alcohol. Lightly dab the swab on the lens. Be very gentle. Let the lens dry before replacing the top plate of the DVD player. With advanced image and audio processing technology, Leawo Blu-ray Player for Mac could provide you quality-lossless image for even 4K video, stereo audio enjoyment, all regions free DVD decryption and user-oriented playback control so that you can play any high-quality movie and play Blu-ray or DVD across region. Furthermore, within Leawo Blu-ray Player, you could obtain the personalized settings according to your preference and all the settings could be done automatically. The instructions for playing are quite easy.